Managing the growing numbers of asylum claims on the southern border is only becoming more challenging. 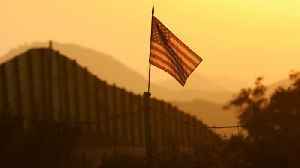 Asylum claims at the U.S.-Mexico border climbed significantly over the past decade. According to the DHS, in 2007, there were 5,171 credible fear claims, which trigger asylum proceedings, in 2018, almost a 1,700 increase with nearly 93,000. A credible fear claim is when a migrant says they fear persecution or torture if sent back to their native country. Immigration judges handed down 42,224 asylum decisions in 2018 . It is not a speedy process. Some cases take as long as four years .The system is backlogged and overloaded. The question: can-- or should-- it be reformed? There are a lot of recommendations. The Migration Policy Institute, which describes itself as nonpartisan but has been critical of some of President Trump’s policies, has a plan to streamline and speed up the process. It includes : Having asylum officers (instead of judges) decide the cases of applicants who demonstrate a "significant possibility" of being granted asylum, in their first screening. Diverting money from building a wall to hiring more asylum officers, building reception centers for families and alternatives to detention, like ankle bracelets. Establishing refugee processing programs outside the United States to relieve pressure at the southwest border. 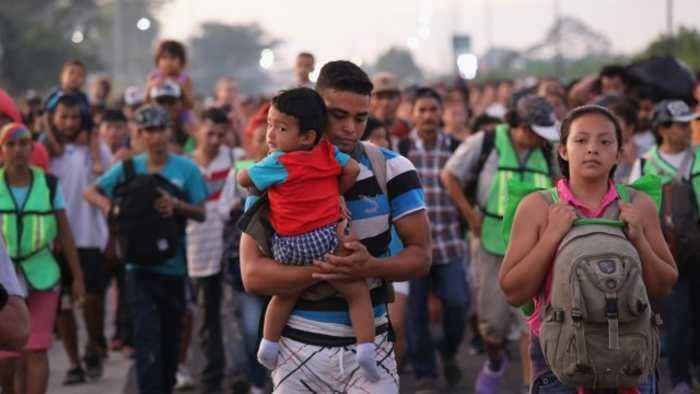 Recommendations from conservatives include : Setting up processing centers in places like El Salvador, Guatemala, Honduras, Mexico, Nicaragua and Panama. Requiring children seeking asylum to have a qualified parent or guardian in the United States. Establishing a cap of asylum cases per year. Right now, there's no limit. Meanwhile, the European Union reportedly has stemmed its asylum-seeker crisis by spending billions in aid in countries where migrants come from or travel across. Turkey and some African countries have become partners with the EU by offering potential migrants economic opportunities. Here at home: the flow of asylum seekers might change, but it shows no signs of ending. Undocumented immigrants, asylum-seekers, Border Patrol agents and more fill out the incredibly complex picture of coming to America.